A classic cut 1980’s Australian made suit by “Symbols Australia”. 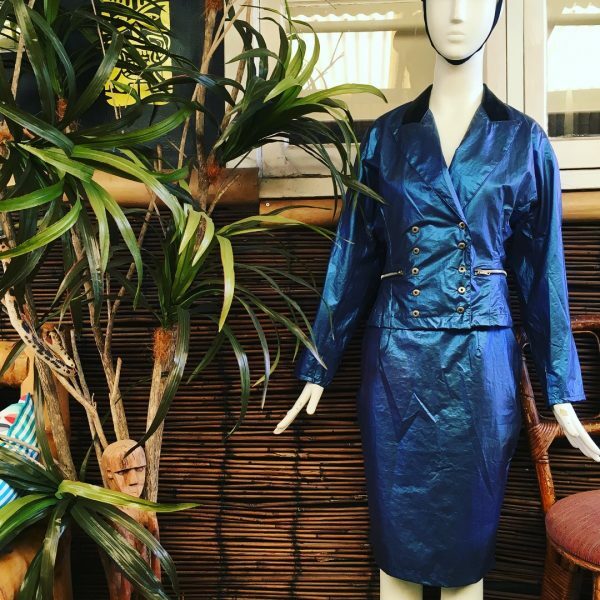 Probably not the best for hot days, but you will certainly stand-out at those 1980’s parties in this metallic blue & black PVC suit. It is in great condition & will best suit a size 8 to 10.